Former New York City mayor Rudy Giuliani. ‘‘I’m doing it because I hope we can negotiate an end to this for the good of the country and because I have high regard for the president and for Bob Mueller,’’ Giuliani said in an interview. Giuliani, who joins a legal team that has struggled to recruit new members to its ranks, said he has been speaking with Trump for weeks about joining the group of legal advisers. He said he would work alongside Trump’s current attorneys, Jay Sekulow and Ty Cobb, who focus on the federal investigation into Russian interference in the 2016 presidential election. He also said he will soon take a leave from his law firm, Greenberg Traurig. 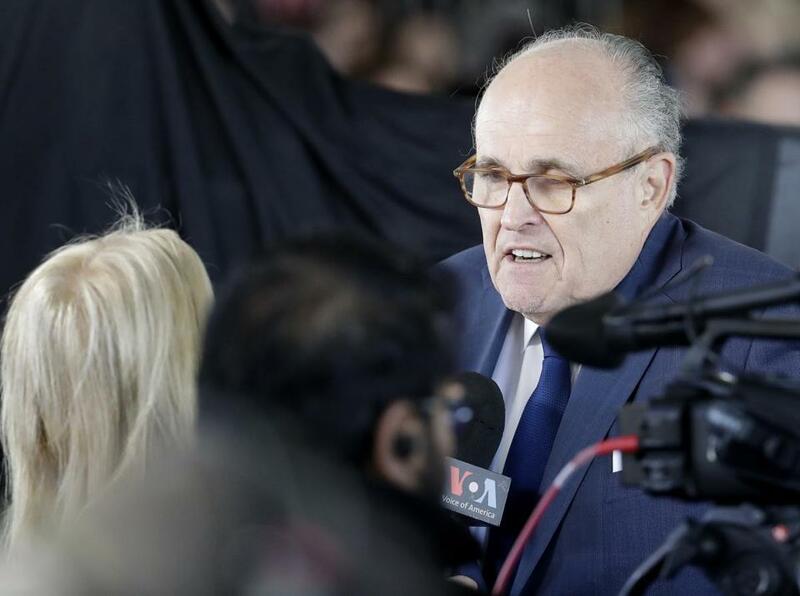 Giuliani and Trump spoke on Thursday about legal strategy moving forward, along with Sekulow, who Giuliani described as a ‘‘good friend.’’ He added that he and Cobb spoke on Wednesday. Giuliani declined to say whether Trump has made a final decision on whether to sit for an interview with Mueller and his investigators. Trump has been mulling for weeks whether to do so, veering between wanting to meet with Mueller to moving away from the idea, especially after the home and offices of his personal lawyer, Michael Cohen, were raided this month. ‘‘It’s too early for me to say that,’’ Giuliani said of whether a Mueller interview is unlikely to happen. Giuliani said he would spend a ‘‘great deal of time’’ in Washington working with Trump, but would continue to live in New York.